Though there’s no one secret to business success, there is one challenge that every business faces during times of rapid growth: getting the right people on board. In marketing and sales, securing experienced leadership is particularly critical, as evolving trends and technology make it tough enough to keep up, let alone get ahead. Some businesses spend months searching for a “unicorn,” a marketing and sales professional who can do it all. Others turn to their personal networks for a quick fix, hiring friends or family who possess tangential knowledge and might grow into the role. Of course, not all sales and marketing consulting solutions are the same—or right for the same situations. Often, there’s a specific impetus driving the need for strong sales and marketing leadership, whether it’s a product launch, the emergence of a new customer segment, persistent pricing concerns, or ineffective marketing and sales campaigns. But in the rush to address current concerns, businesses inadvertently create new ones. Speed is important, yes. Especially if you’re running lean, as most growing businesses are. But to focus on speed is to think only for the short term. When you shift the focus to business agility, speed and cost-effectiveness follow naturally. An agile strategy is a long-term strategy, one that positions you for sustained business growth by making it easier to evolve along with the market. Agility is best achieved through a flexible hiring strategy that takes both current and future needs into account. According to the U.S. Department of Labor, the cost of a bad hire is equal to 30% of the employee’s first-year earnings. At the executive level, that number rises dramatically, because it includes more than just the sunk costs of recruiting and onboarding; it also includes the price you pay in reduced productivity and effectiveness, as well as potential damage to your reputation. It takes a lot of time and resources to find that unicorn sales or marketing professional. And once you’ve found them, there’s a lengthy ramp-up period before they can really dig in. On the other hand, tapping your “shadow labor force”—the circle of associates who you hope could grow into the role with time—might reduce initial costs, but it comes with an even longer ramp-up time and, ultimately, the increased risk of failure. Given these additional considerations, some analysts have estimated the total price of a bad executive hire to be anywhere between five to 15 times salary. This means that, on the low end, someone making $150k annually could potentially cost a business $750k if they don’t work out. Plus, whether you wait to fill a permanent position or rely on your shadow labor force, the market could have already shifted by the time your new hire is fully onboarded, putting you behind in the market—and back at the drawing board. The fastest growing companies focus on putting the right talent in place when they need it most. A study by McKinsey found that 51 percent of fast growers have ensured they have the right sales talent and capabilities in place for the future, compared with just 33 percent of slow growers. Low overhead is another perk, especially for smaller projects, but the real benefit is the agility that freelance marketing and sales consultants offer. When you can’t wait months to fill permanent positions, on-demand access to extra capacity or subject-matter experts makes it easy to assemble the best team for the job. You can cherry-pick the talent you need and integrate them more quickly and efficiently into your workflow than, say, a 10-person team of consultants. Business Talent Group’s freelance marketing and sales consultants possess both consulting expertise as well as sales and/or marketing operating experience, which allows them to quickly strategize, plan, and execute a broad range of initiatives. Building an eCommerce business: BTG connected the digital group at a major pharmaceutical company with former McKinsey consultant to build its ecommerce business. Deepening connections with customers: A former Bain consultant and marketing leader at Intel helped a Fortune 100 retailer explore the potential of tapping into online communities and social media networks. Creating a digital strategy: A former Bain consultant with a strong Internet background created the digital strategy for a new Direct-to-Consumer business at a leading finance company, resulting in a highly profitable new business. Launching a new brand strategy: A marketing executive with experience at McKinsey, Bank of America, and GE helped a client’s internal marketing team launch a new brand strategy. Optimizing marketing spend: When a major broadcasting company wanted to capture and serve a newly identified demographic segment, BTG proposed a two-person hybrid team: The former president of marketing at a top entertainment company and an expert management consultant, formerly part of McKinsey’s global media practice. The low-six-figure, two-month project resulted in rapid adjustments that captured a rare opportunity and still-growing ROI. 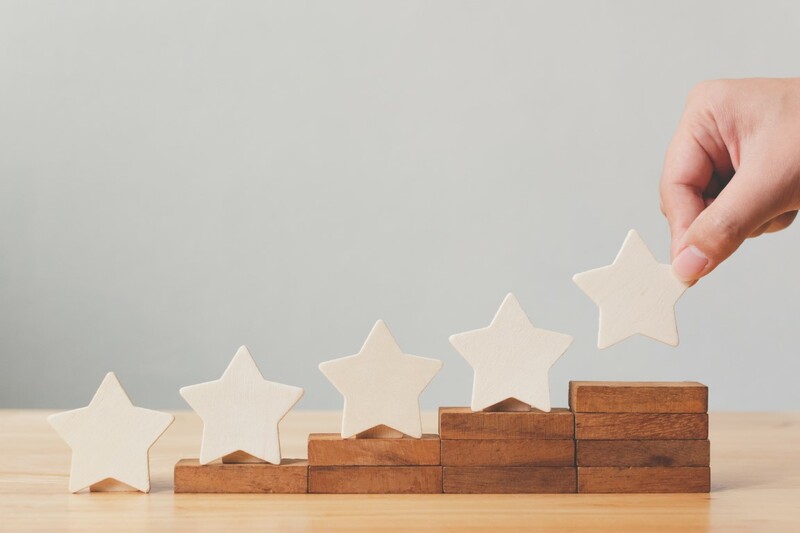 Creating a customer loyalty program: BTG connected a consumer media company with a marketing executive who had spent her career crafting loyalty programs. The resulting program launched on time and on budget and has subsequently been credited with helping to reverse the company’s unstable financial trajectory. Streamlining vendor relationships: A former J&J VP-level marketing executive helped a major gaming company streamline agency relationships. Redesigning digital marketing: A senior executive with 20+ years of creative experience at ROLL Corporation and E! worked with a leading entertainment company to redesign their digital marketing organization and initiate new ways to more directly communicate with the end user. Refining pharmaceutical lifecycle management strategies: A former Booz and Accenture consultant and life-cycle management expert with operating experience at Bristol-Myers Squibb and Becton Dickinson helped a global pharma giant’s research team analyze patient trends and market demand to identify new biomarkers for a mature drug. Piloting a new pricing model: BTG’s pricing specialist built and implemented an analytical dashboard for a Fortune 500 clothing retailer that was updating pricing models to incorporate consumer behavior across channels. After a successful two-month pilot, the team added more product categories and implemented the dashboard across its stores. When you bring in on-demand talent to fill knowledge gaps and accelerate growth, you improve agility through greater transparency, accountability and flexibility. You can also make smarter decisions by exploring opportunities before completely committing to them. For many businesses, this represents a significant shift in their hiring model, one that requires getting buy-in across the organization and adjusting procurement, HR and legal processes accordingly. We can help with that, too.